Located just west of the four corners in downtown Adrian, Chaloner & Co. has always been a special place for those looking for a fancy cigar, old-fashioned candy, or a fresh bag of popcorn. Occupying the second and third floors of the original Chaloner & Co. store, Chaloner's Cigar House now features an opulent, upscale interior with original brickwork, large windows overlooking the street, comfortable lounge seating, humidor lockers for guests, pool table room, glass ceiling atrium featuring a floor to ceiling waterfall and full bar. Welcoming cigar aficionados from around the world, Chaloner’s Cigar House is known for its fine cigars and luxury cigar lounge experience. Whether you are visiting with friends or hosting an event, each knowledgeable concierge on staff is here to elevate your visit to exceptional. 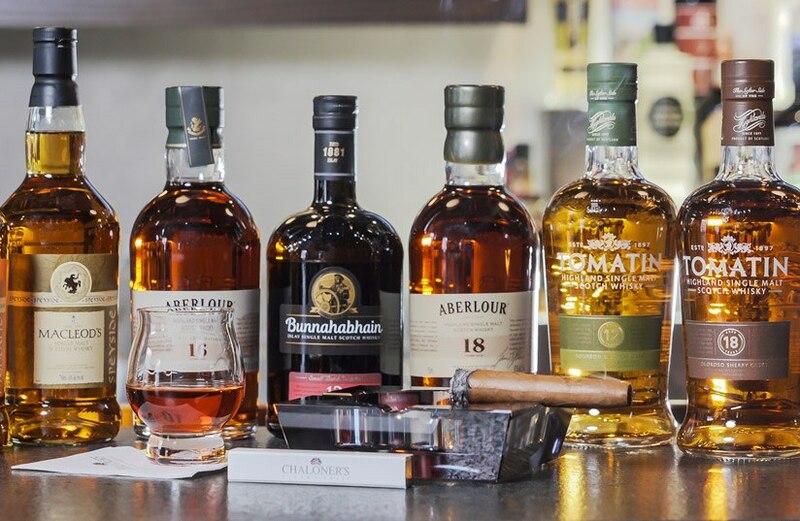 To those who want to experience another level of Chaloner’s Cigar House, we offer a limited number of openings to our exclusive Cigar Society. We are currently accepting names for our wait list. 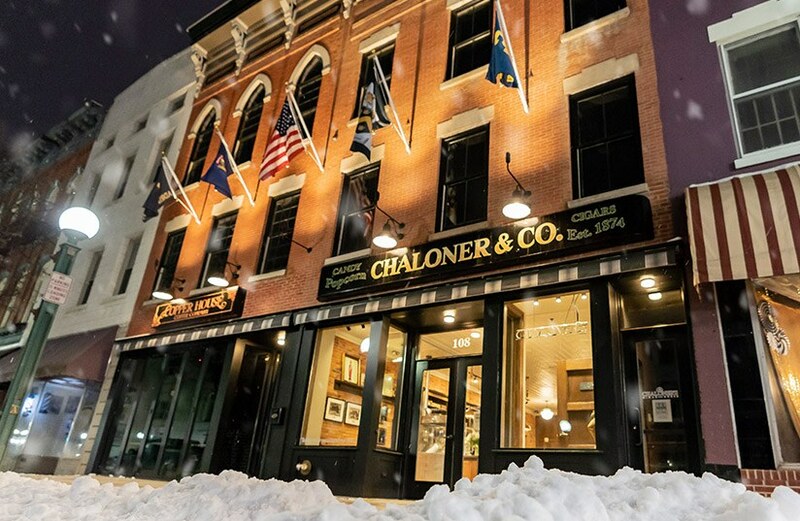 Chaloner & Co. is an iconic feature in our community. First opened as a newsstand in 1874, Chaloner's has become a historic landmark in Adrian, MI. For over 100 years, the Chaloner family ran the famous newsstand selling candies, cigars, and popcorn. It is truly one of a kind. Interested to try your first cigar? Or maybe you’ve already tried a few cigars, but you still consider yourself a beginner. Either way, we’re here to help introduce you to the amazing world of cigars. Chaloner & Co. was first opened in 1874 as a newsstand in downtown Adrian, Michigan. For over 100 years, the Chaloner family ran the iconic newsstand and sold candies, magazines, cigars, and popcorn. The store became a well-known feature in the community.